Spoon Biography, Discography, Music News on 100 XR - The Net's #1 Rock Station!!! Vocalist + guitarist Britt Daniel and drummer Jim Eno had started up this Alternative-Rock band in 1994 in Austin, Texas USA. Working with a succession of bass and keyboardists over the years Spoon quickly garnered considerable attention on the indie circuit. In the spring of 1996 the group issued their debut full-length album, "Telephono", on Matador Records and took to the road supporting Pavement. Signed by the major label Elektra, they delivered a minimalist art-Punk album titled "A Series Of Sneaks" in April 1998, but the band was ditched soon after its release. Daniel and Eno teamed up with producer + guitarist Mike McCarthy and enlisted the help of bass player Josh Zarbo, then went the indie route again releasing a couple of singles, the 2000's 5-track EP "Love Ways" and their third full-length disc, "Girls Can Tell", which appeared in February 2001; it cracked the top 50 of the Billboard Magazine's Independent Albums chart. August 2002 saw the release of the band's commercial breakthrough, "Kill The Moonlight", the record hit #23 on the U.S. Top Independent Albums list. Their next full-length CD, "Gimme Fiction", was easily the most expansive work in Spoon's career; recorded through 2004 at Eno's Public Hifi studio in Austin with the production help of Mike McCarthy, the 11-track set was released in spring 2005 to widespread critical acclaim reaching the top slot of the Billboard's Independent Albums chart and even crossed over into The Billboard 200 at #44 backed by the falsetto-laden "I Turn My Camera On" which shook up the indie-Rock world. In 2006 Britt Daniel made his first foray into film scoring with the soundtrack to the film "Stranger Than Fiction", Daniel penned three instrumentals in tandem with in-demand movie music composer Brian Reitzell and also chipped in a new Spoon song: "The Book I Write". 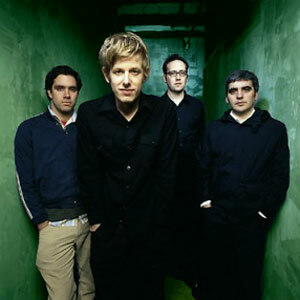 Spoon made their anticipated return in July 2007 with the release of "Ga Ga Ga Ga Ga"; the album climbed into the top 10 of The Billboard 200 chart and yielded two Hot Modern Rock hit singles with "The Underdog" which peaked at #26 and "Don't You Evah" which reached #33, with the latter rising to #1 on The Hot Dance Singles Sales chart. In June 2009 the Texas group issued a new disc which featured the newly recorded single called "Got Nuffin" as well as two b-sides. The set served as a preview for their full-length album titled "Transference" which arrived in January 2010 and shot to #4 on The Billboard 200. Even though "Got Nuffin" just squeaked into The Rock Songs chart and was followed by another minor hit single, "Written In Reverse".